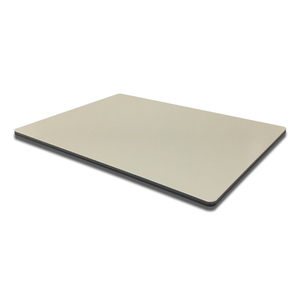 Aluminum Composite Panel is a kind of sandwich panel with two thin Aluminum sheets bonded to a non-aluminum core. Aluminum composite panels are very commonly used for external building facade cladding as well as interior decoration. Color: By color/pattern: solid color, metallic color, brushed finish, mirror finish, marble pattern, wooden pattern. Dongguan Walltes Decorative Material Co., Ltd.
c) Back: aluminum alloy sheet coated with polyester resin painting d) Surface finish: treated with PVDF and PE resin rolling roasting . 3) Excellent processing, heat, noise and fire performance. 4) Good plasticity, impact resistance, reduce weight of building , good shock resistance. How long can I get a quote9 The quotation can be provided not longer than 24 hours on condition that we know all detailed requirements. Can I buy installation accessories from you9 Yes, we provide wet wall and dry wall system installation accessories. If you want to know more about the installation of aluminium composite panel, pls contact with our professional sales team. 1. 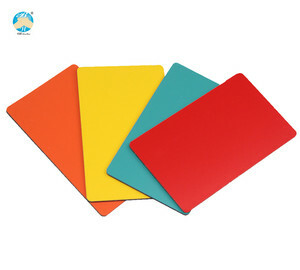 Basic material of aluminum plastic composite panel/ honey comb aluminium 1) Front side: aluminum roll coated with polyester,pvdf,Nano 2) Core: plastic fireproof materials 3) Rear side: aluminum coated with polyester or as requested 2. 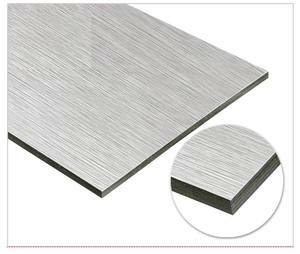 Basic structure of Aluminium composite panel 1) Protective film from Novacel, France 2) Coating-basic level (polyester) Or PVDF coating 3) Ground coating=premier coating 4) Aluminum Alloy sheet 1100 H14 5) Macromolecule adhesive made by SK Korea, more than 90 degrees. 6) LDPE(recycled-plastic) no-toxic Or fire-rated material 7) Macromolecule adhesive made by SK Korea, more than 90 degrees. 5.Application Scope of Aluminium composite panel Building exterior curtain walls; As decorative materials of interior walls, bathroom, doors,ceilings, kitchens, balconies of home and hotel and so forth; As decorative materials in the shop 6.Packing:in bulk of FCL or pallet LCL 7.process of Aluminium composite panel 8.some projects of the Aluminium composite panel. Currently we have over 300 employees, including 8 engineers focused on the research and development of our Aluminum Composite Panel system. Q2.Do you have any test certificates9 A2:Yes, stable good quality is key for long time business cooepration. And 500 usd should be paid for the first order, which will be returned back in the 5th containers order. 2. Other kinds of buildings: as ideal decorative materials for the outer-wall and inner-wall of buildings. 4. Ceilings, eaves, balconies, partitions and interior decorations. 2. Delivery Time: about 10 to 15 days after contract confirmed and deposite payment received. 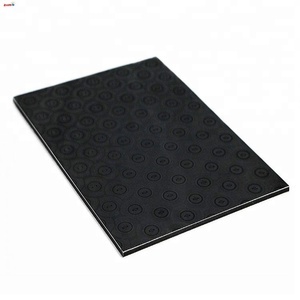 Alibaba.com offers 19,634 4mm aluminium composite panels products. About 92% of these are aluminum composite panels, 1% are sandwich panels, and 1% are led displays. A wide variety of 4mm aluminium composite panels options are available to you, such as outdoor, indoor. You can also choose from free samples, paid samples. 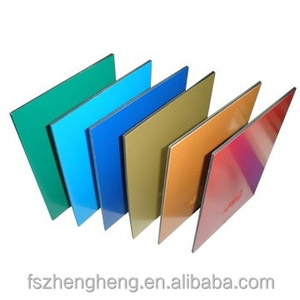 There are 19,511 4mm aluminium composite panels suppliers, mainly located in Asia. The top supplying countries are China (Mainland), Vietnam, and India, which supply 98%, 1%, and 1% of 4mm aluminium composite panels respectively. mm aluminium composite panels products are most popular in Southeast Asia, Domestic Market, and South America. You can ensure product safety by selecting from certified suppliers, including 11,739 with ISO9001, 3,527 with ISO14001, and 3,254 with Other certification.